#2,307 New Paint + Cleanser Aisle. – Laurel Mercantile Co.
Now reading: #2,307 New Paint + Cleanser Aisle. #2,307 New Paint + Cleanser Aisle. 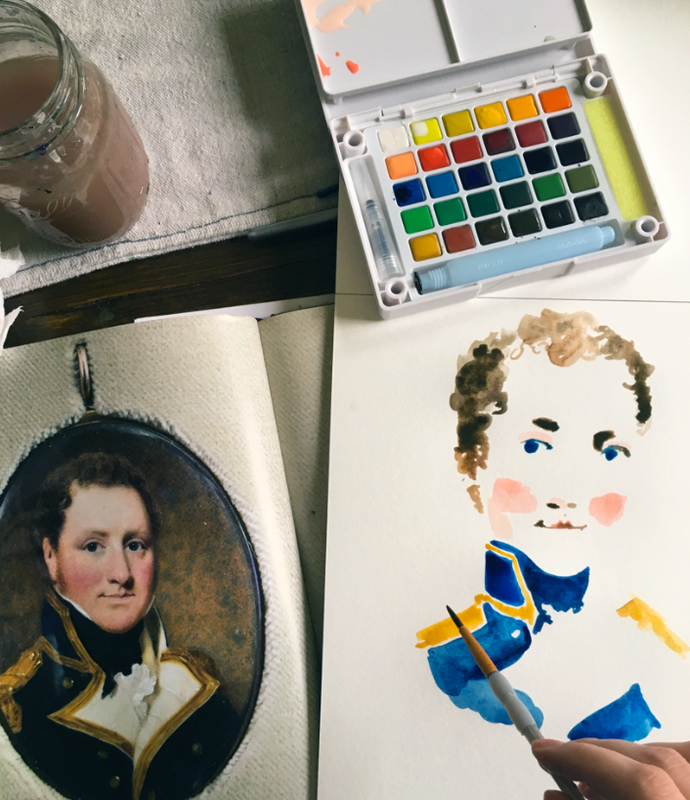 After months of waiting, my 30-color petit Sakura watercolor set finally arrived from Japan and I spent most of the afternoon doing a house portrait then just dabbling and doodling. It really is amazing what a difference it makes using high-quality colors vs. my $8 palette from the hobby shop. The colors have more body, more vibrance, than what I’ve been so used to. And later we had a date night at Tabella with Jim, Mal, Lucy, Emily, Josh and Angie and Toni who are 2 of our producers for Home Town… After dinner, the had some work to do and the 6 of us split up: girls went to target and guys went riding around. What we did in Target was very luxurious. 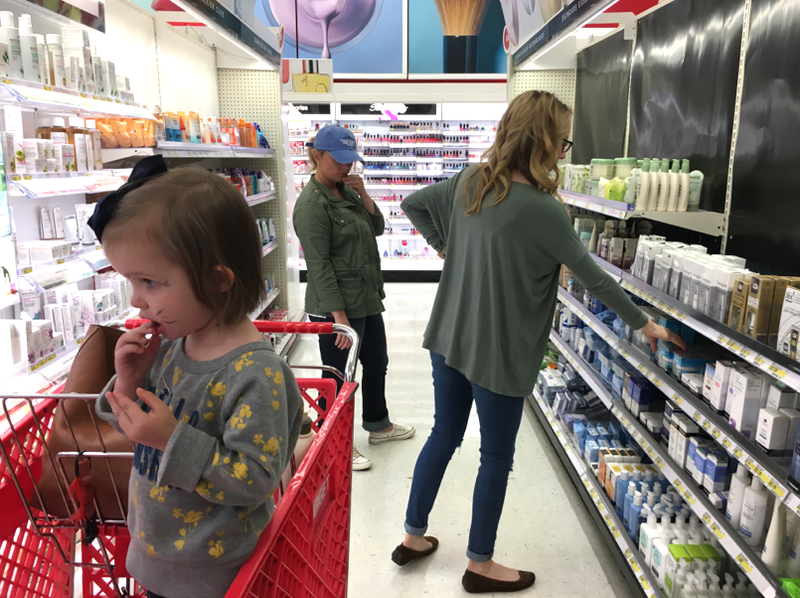 We lingered on the cosmetics aisle discussing all of the moisturizers and cleansers we’d ever used, which ones worked, which ones didn’t, and had lengthy debate about the merits of scrubs vs. cream cleansers. And it was glorious. For me, the best moisturizer of all time was by Dove, then they discontinued it. Now I’ve fallen in love with Clearly Brighter from Garnier, so you can rest assured it will be discontinued immediately, too. I wish so badly I wasn’t allergic to Aveeno because I love the way it all smells. I’m realizing right now how much money I blow on moisturizers and cleansers and I feel embarrassed. #2,308 Cleaning Up Lucky Bug.